Are you looking for a NAATI certified degree certificate? Here at Sydney Translation, we offer fast, affordable and NAATI certified translations. A degree certificate proves that you have finished a course in college. It lists all the skills and knowledge that you have. Having a decent degree certification means you will have a better chance of acing job interviews and getting hired. If your document is non-English, most Australian companies and authorities will require you to get it translated. If you have completed your courses overseas, there is a chance that your documents are presented as non – English. This means that before you go ahead and submit it to companies here in Australia, it is only right that you have it translated. 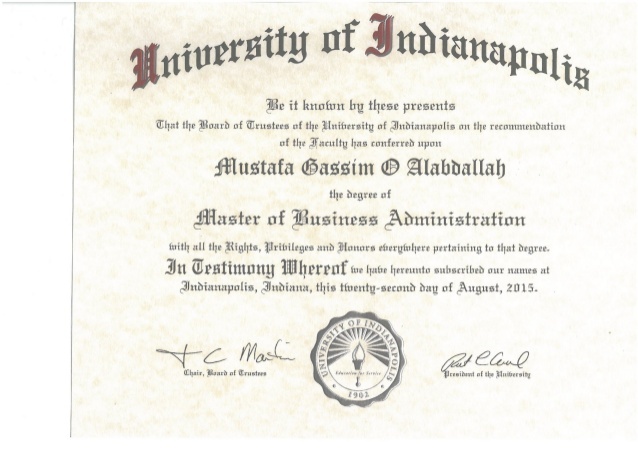 A degree certificate is a document that can tip the scales of being hired. As such, you will have to find a translation services provider who has great attention to detail. With Sydney Translations, you will only receive a high-quality translation. If you are looking for the right people to translate your degree certificate, then you have come to the right place. In Australia, NAATI sets the standards and certifies translators in the translation industry. Every professional who wants to work as a translator or interpreter in the country need to be certified by NAATI. Almost every government agency that you might come across in Australia requires non-English documents to be translated. Most, if not all of these Australian authorities will even require a NAATI translation. A NAATI certificate is proof that the translation is reliable and accurate. Sydney Translations has been a stand out company ever since it started seven years ago. Aside from being one of the few companies that are still growing in number, we have become home to hundreds of NAATI certified translators who have years of experience. We have an outstanding customer support that will be eager and happy to answer inquiries. Simply get in touch with us via the translation quote form or the Live Chat below and one of our customer service representatives will contact you in a few minutes. In Sydney Translations, we have a massive selection of talented project managers who have different specialities. Each of these project managers are assigned to a team of amazing translators. Your documents will always be handled by the most qualified project managers. These project managers also carefully watch over our translators to make sure that no errors will be found in your translated document. Once the degree certificate translation is finished, they double check the document and ensure that it is accurate and high quality. If you are looking for a speedy service in which you will get your documents translated right away, then we have that option for you! By requesting for an express degree certificate translation service, your document will be handled by the best project managers and set as a priority. You will receive a high quality and accurate degree certificate translation in just 24 hours. Request for a free quote today. Send us a photo or scan of your document via the translation form and we will email you a firm quote in less than 15 minutes! After receiving your documents, our project managers will send them out to the most qualified translators. With the standard degree certificate translation services, your document will be translated in 2 to 3 days. The number of days depends on the complexity and length of the documents. We also provide a service for if you are in a rush. Speed up your translation with our express degree certificate translation services and receive your finished translation in under 24 hours. If you also are in need of a hard copy of your degree certificate translation, we got you covered. Let us know and we will be glad to send it to you via Australian post. Yes, we are! We are proud to announce that every all of our document translation services are NAATI certified. We have chosen the best NAATI certified translations. Rest assured that your documents will be handled professionally. Yes you can! You can avail of our services on our website. This takes out the hassle of going to our office and falling in line, now, you can contact us and assign a project whenever and wherever. What languages do you translated from? 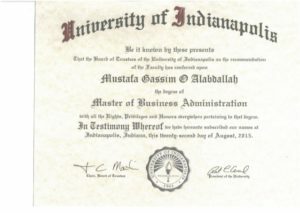 For translation of degree certificate into English, the majority of 1 page degree certificates are deemed as ‘standard documents’ and are priced at a flat rate per document of $69.00 per page. Here are a few steps that you should follow if you want to order one of our translation services. Request for a free quote. Let us know your requirements through the message box in the translation form found on this page. Once you agreed to the estimate, you can go ahead and process your payment via credit, money order, mastercard, visa, bank transfer, cash, cheque, or Amex Paypal. Then, your document will be sent to the project managers for allocation. Once we are done with the translation, we are going to send you a draft. If you have no corrections after reviewing it, we will finally send you a soft copy, or a hard copy via Australian Post. And there you have it. Quick and easy steps to ordering a translation at the comfort of your home.Get your free quote now!